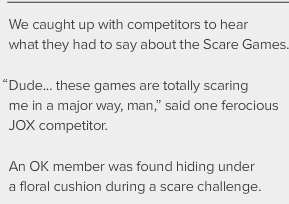 By the Greek Council -- As the Scare Games continues, monsters are falling head over horns for the win! 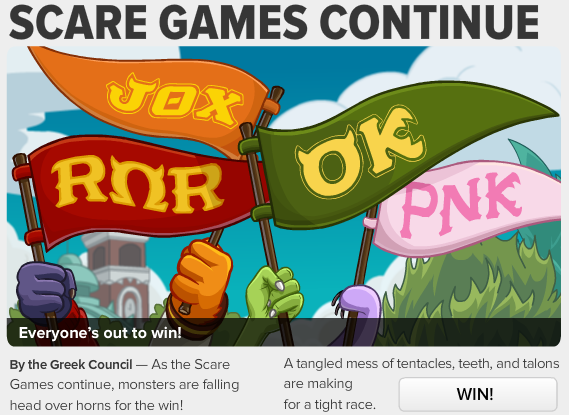 A tangled mess of tentacles, teeth, and talons are making for a tight race. Be sure to get in your final howls and growls if you want to sink your teeth in that trophy starting July 6! 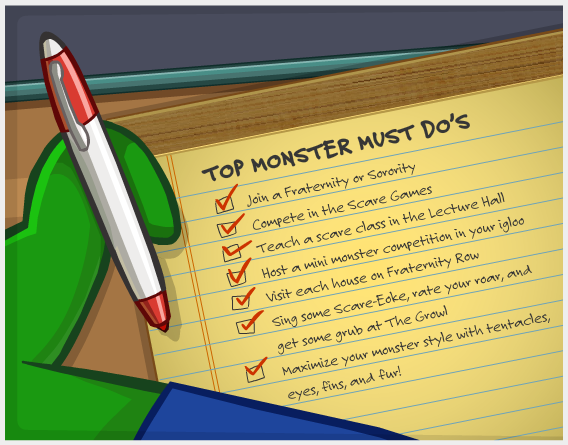 Be sure to do everything on this list because the Monsters University party may NEVER come back again! Penguin Style - Show of your chic summer style and start the season off right! 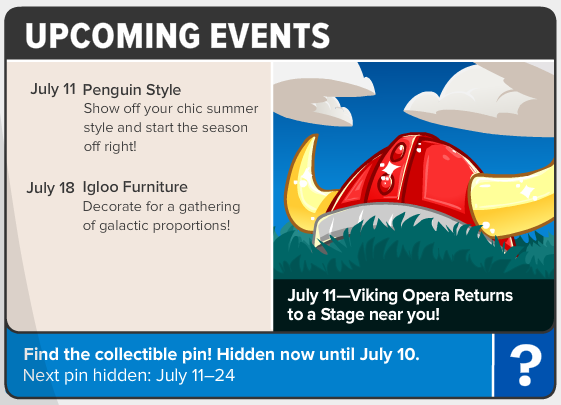 Igloo Furniture - Decorate for a gathering of galactic proportions!